TREC BCAA POWDER is a product containing optimally balanced proportions of branched chain amino acids (BCAA) L-Leucine, L-isoleucine and L-valine enriched with essential in the metabolism of protein wit. B6. BCAA account for nearly 45% of lean muscle mass. As a result of intensive training, they are burned in energy purposes. 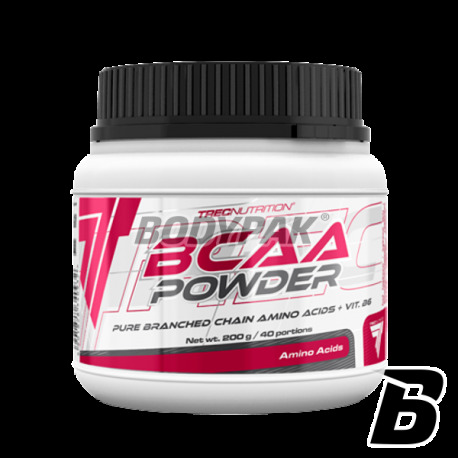 BCAA POWDER helps replenish BCAA amino acids in your daily diet. Intense training leads to the exhaustion of energy reserves, as well as the reduction of branched chain amino acids. Reducing the level of BCAA reduces the process of synthesis of proteins which in turn leads to a decrease in stamina and reduce muscle tissue. To prevent the emergence of negative catabolic state and to increase reconstruction of muscle proteins should provide branched chain amino acids. Their regular supply is very important to maintain a positive nitrogen balance, which is the state of anabolic (building). BCAA POWDER indirectly affects the secretion of growth hormone (GH) and insulin, a potent anabolic hormone. Systematic use of BCAA POWDER causes growth 'pure' muscle mass, prevents fatigue and overtraining. 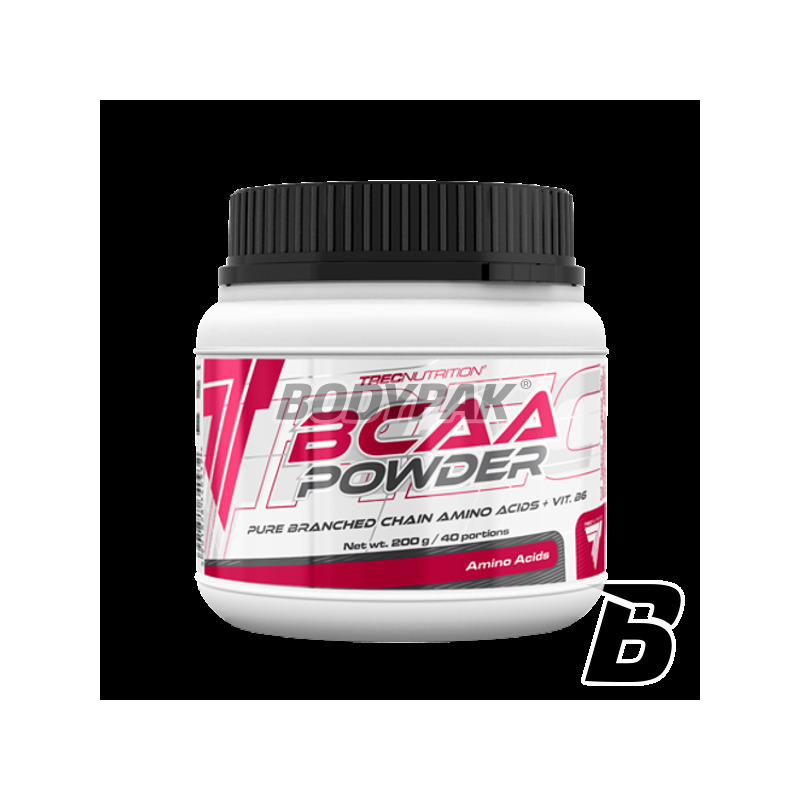 One serving of BCAA POWDER 5000 mg provides the body with essential amino acids. BCAA belong to exogenous substances, or those whose body can not synthesize and therefore it is necessary to supply them in supplement form. TREC BCAA POWDER is synonymous with strength AND HIGHEST QUALITY! serving in the morning after waking up, serving at bedtime. Składniki: l-leucyna, l-izoleucyna, l-walina, chlorowodorek pirydoksyny. Advanced combination of branched chain amino acids (L-leucine, L-isoleucine and L-valine). Designed for professional bodybuilders, athletes and sportsmen who want to expand and strengthen muscle mass, which will allow for very fast overall physical performance levels previously unattainable.